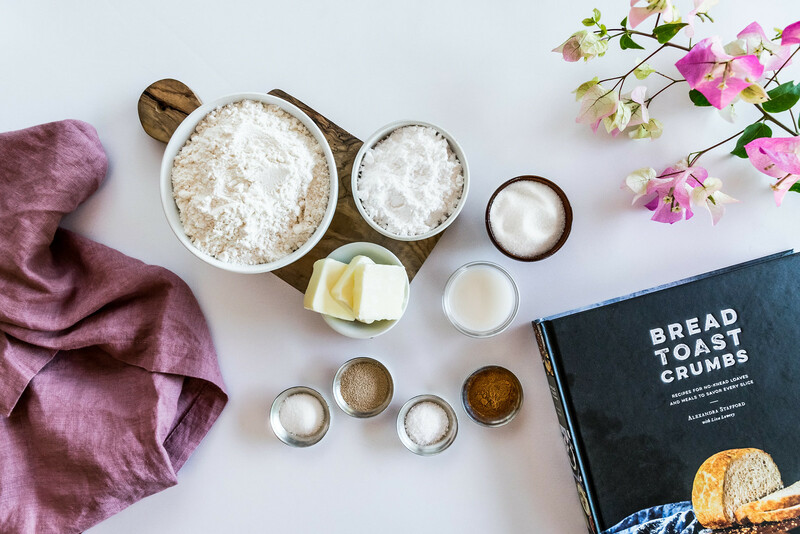 Would you believe us if we told you there is a homemade bread you don’t have to knead, there are absolutely no thermometers involved, and the prep takes just five minutes? If we were to expand further, mentioning that this masterpiece exhibits a perfectly crispy, buttery crust, and the most pillow-soft, delicious chewy interior, you might think we were making this all up. Well, we have some good news for you. This miracle does, in fact, exist and after trying it ourselves for the first time this week, we now understand why Alexandra Stafford says it’s “the best, easiest bread you will ever make.” It all makes sense why this innovative recipe went viral, receiving over 3000 comments on her blog. This legendary loaf, the foundation of Alexandra’s gorgeous new cookbook Bread Toast Crumbs, was a recipe her mother kept secret for years. Every time she mentioned it on her blog, she would receive dozens of requests to post the recipe. The passion of her viewers finally convinced her mom, and she agreed to share this gastronomical gift with the world. Thanks to Alexandra, you will never knead another recipe again! And what’s better than peasant bread? Peasant bread transformed into a sweet treat, like this cinnamon-sugar money bread from Alexandra’s book. With an irresistibly soft texture, we couldn’t decide if we wanted to eat this or take a nap on it. 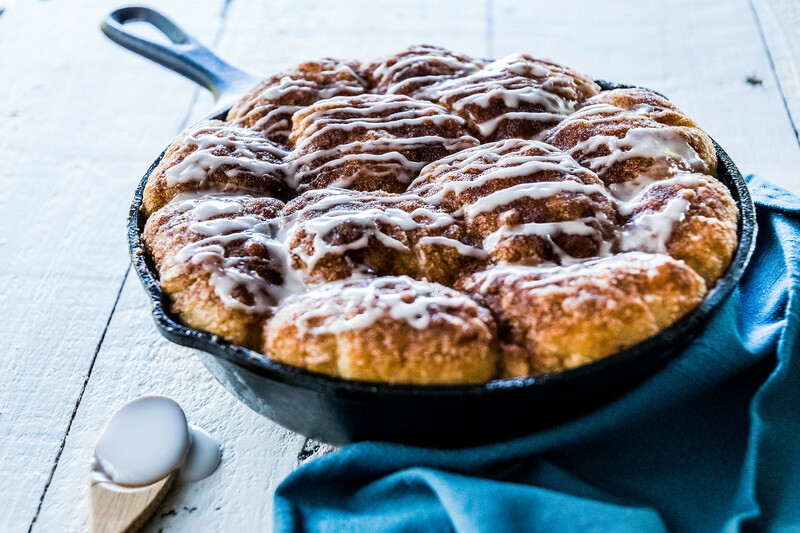 Filled with loads of cinnamon and drizzled with a classic sugar glaze, temptation won us over, and we finished the entire skillet ourselves before having the chance to sleep on it! (sorry to our neighbors Fire Chief Charlie we’ll make it up to you next time). 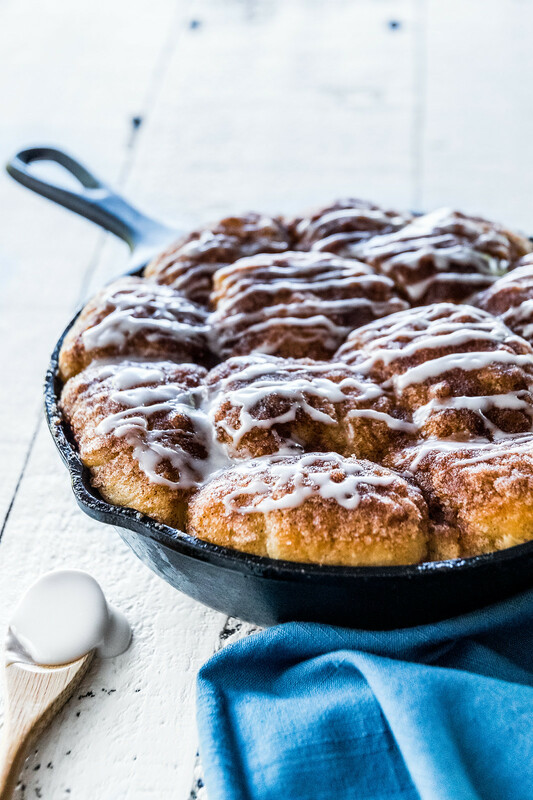 This is the easiest type of cinnamon bun you will ever make. 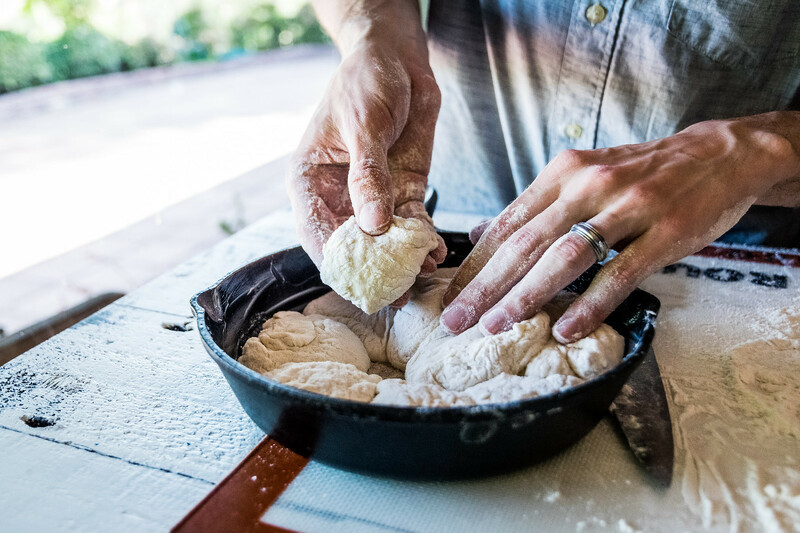 You simply stir the dough together in a bowl, let it rise, place it in the skillet, let it rise again, then bake it in the oven. And the recipe is a sensory overload—the soft feel of the dough in your hands, the cinnamon-sugar aroma that transforms your house into a french bakery, and the crispy-tender texture which is truly magical: watch how quickly they disappear before your very eyes! 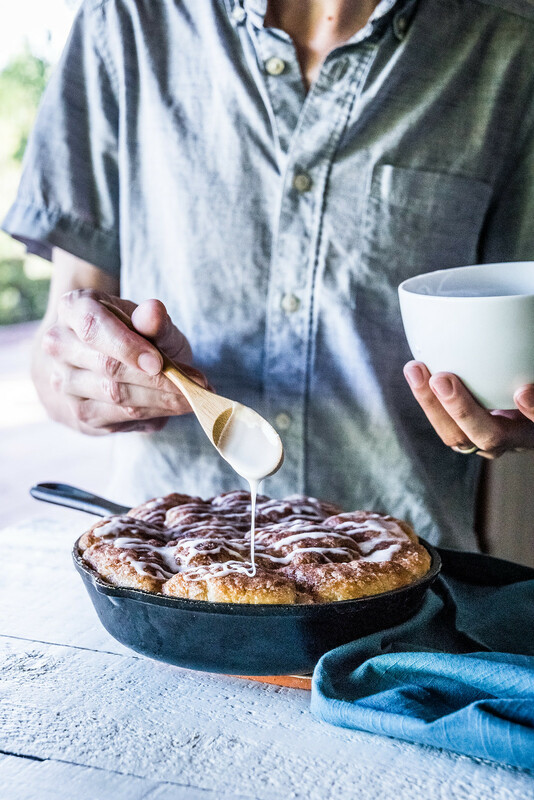 While the dough is rising, use some softened butter to very generously grease an 8- or 9-inch oven-safe skillet or cake pan, and set aside. Place 1/4 cup granulated sugar in a small bowl, add the cinnamon, and stir well to combine. Scoop 1 tablespoon of the mixture and sprinkle over the bottom of the buttered skillet. Set the remainder aside for now. Scatter 1/4 cup of flour onto a clean counter. Once the dough has risen, remove it from the oven and set the oven to 375°F/191°C. 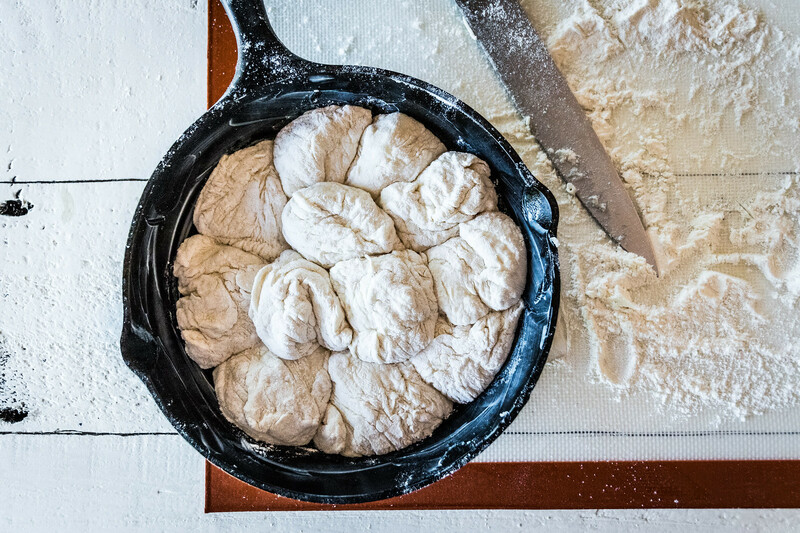 Use two forks to pull the dough away from the sides of the bowl toward the center, deflating the ball. 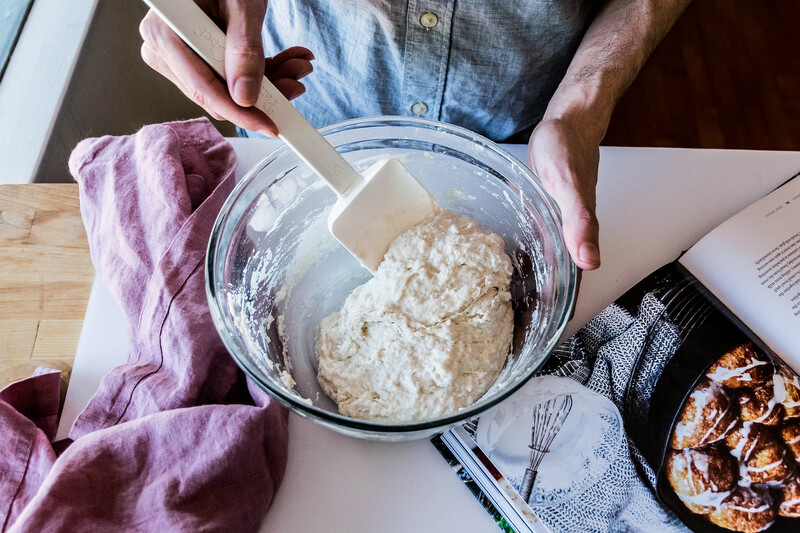 Use the forks—or your hands if the dough is too soft—to transfer it to the floured countertop. 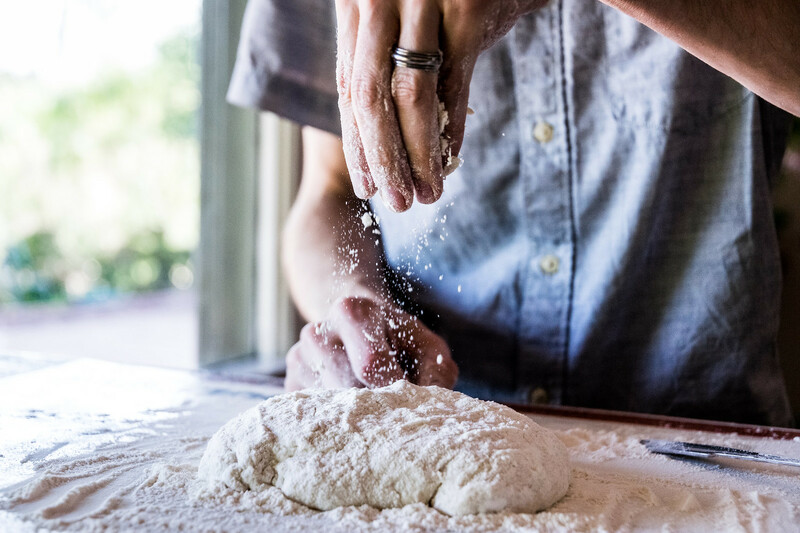 Dusting the dough generously with flour to prevent sticking, nudge and shape it into one round mass, then use a bench scraper or knife to cut the dough into 12 similarly-sized pieces. Gather each piece into a rough ball, and arrange them in the greased skillet in a single layer. Let them rise on the countertop uncovered for 20 minutes. Brush the tops evenly with the melted butter, then pour over the remainder. Sprinkle the remaining cinnamon-sugar mixture evenly on top, then place in the oven and bake until golden brown, 20 to 25 minutes. 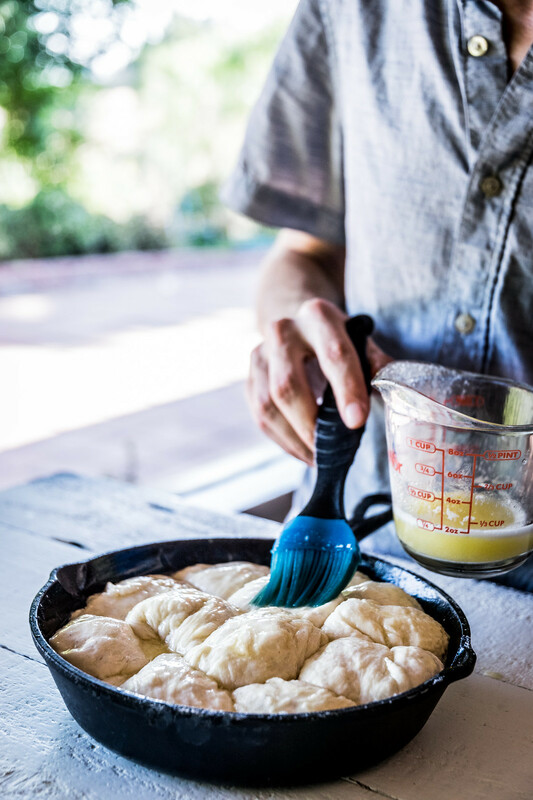 — Instant yeast is available in the baking aisle and online. 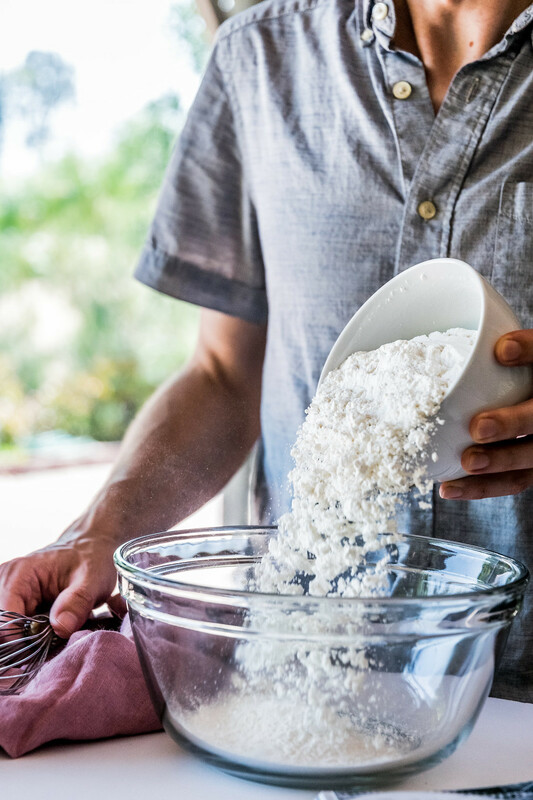 It is sometimes labeled as “bread machine yeast” and requires no proofing, so it can be mixed directly into the flour. 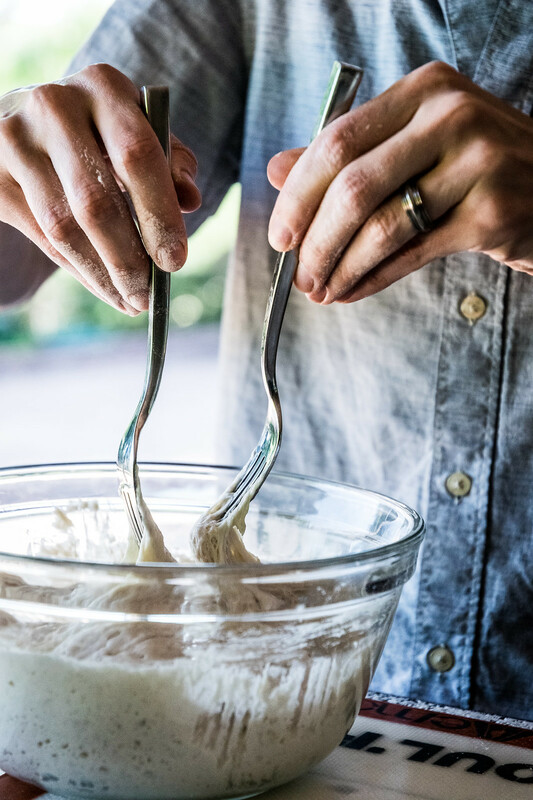 If using active dry yeast, it needs to be proofed first: mix the teaspoon of sugar into the measuring cup with the lukewarm water (see below) until dissolved. Add the yeast and stir to combine. Let it sit for 7 to 10 minutes, until foamy on top. Then pour the whole mixture into the bowl with the flour and salt, and proceed with the recipe as written. 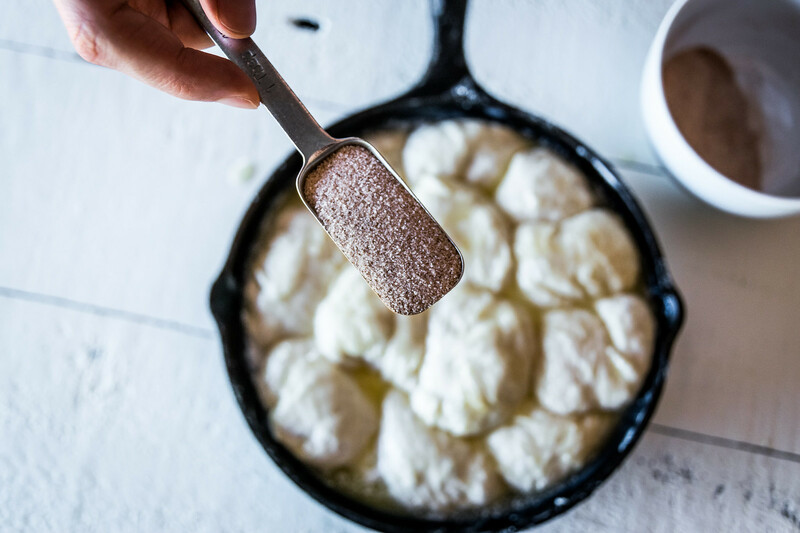 — To make lukewarm water for proofing yeast, Alexandra has another genius solution that applies to any standard bread recipe, with no thermometer necessary. Combine 3 parts cold water to 1 part boiling water, and voila: perfectly warm. So in this recipe, that would be 3/4 cup of cold water plus 1/4 cup of boiling water. — To make this recipe vegan, use non-dairy butter and milk. Thanks so much Becky! We read through the whole book, and this recipe just jumped out at us! Definitely making this again soon! I adore Ali’s book and all of its recipes. What a nice tribute to it! Oh, that’s wonderful you bought the book! Isn’t it great? You must start with the Peasant Bread! It’s honestly revolutionary! You are so sweet, thanks so much Sally! Hope you have a great week as well!